Having a comfy and stylish sofa in your living room is a necessity but with so many choices out there, you may be lost in searching for the best one for your home. 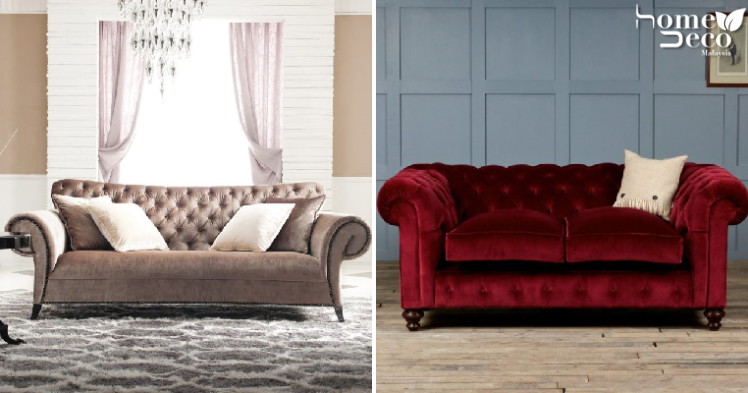 If you want to be a bit more glamorous and classy, we suggest getting some of these awesome velvet sofas that will make your home look simply fine. With such a glam sofa, obviously you would want to make sure that it is the focal point of the room and hence you should definitely tailor your decor to let the sofa shine. This taupe sofa looks super cosy yet elegant at the same time. Sometimes, velvet sofas can tend to be a bit traditional looking but this gorgeous dark silver velvet sofa in your living room looks totally modern, which we love. Other lush textures and pretty patterns further enhance the stylishness for a beautiful living room. Instead of choosing to go with neutral colours, this dark blue is mesmerising and really makes a statement in your living room. It’s also slightly more contemporary with its clean, curved lines and no-frills upholstery. Now, you may want to have more than one seating option in your home and that’s fine too. This luxurious living room shows that you can do that and still look amazing. The teal and dark grey chair goes well together and is highlighted by the gold accents present in the room. Make a splash in your own home with this bold cranberry red velvet sofa that is sure to catch the attention of anyone who enters the room. The tufted design makes it look even better and you don’t need much of other decor so that the spotlight can be on your lovely sofa.